Coffee Bar @ Bailey’s just opened its doors today on Sanibel Island, Florida, and Brian Joseph Studios was responsible for designing their website and developing the company’s identity/logo design. The client wanted an “art deco” look, with an old-fashioned feel to it to match the interior design of the cafe. We researched our font library for a suitable look, and with some customizations to the lettering, we began to develop the concept. As with all professional logo designs, the identity had to be clean, organized and simple , yet able to present the message, and the feeling of the cafe. We came up with the concept of using a coffee stain as the “o” in coffee and along with a right chocolate/coffee color scheme, the identity was born. The client requested that we add the “at Bailey’s” tag to the logo so that Sanibel residents can relate Bailey’s Shopping Center with the Coffee Bar. The web design came together nicely once the logo design was completed, and it really stands out and continues the memorable look of this new coffee shop on Sanibel. 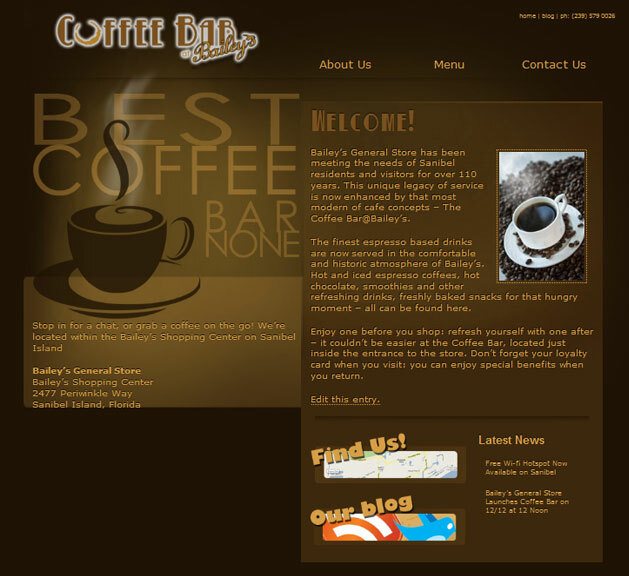 SanibelCoffeeBar.com has an admin area for the client to edit the content, pictures etc, and they will be updating the blog/latest news section frequently with all of the happenings going on at the cafe. We’re excited to see the success of this new business and wish them all the best. 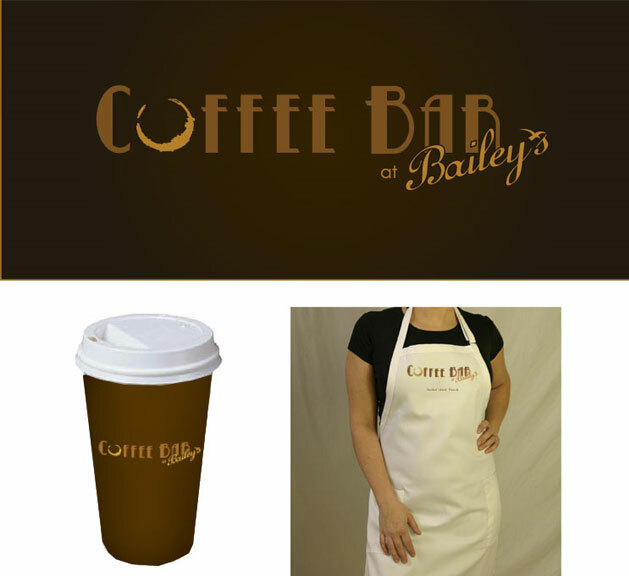 The “Coffee Bar @ Bailey’s” owners are delighted with the finished logo design and web design and we enjoyed working with them on this project.